What happens when you sell your customers power at a fixed price, and you buy your power at a floating price? A local DC green electricity marketer, Clean-Currents, found out as last month’s frigid temperatures sent wholesale power prices rocketing. It’s now out of business, and the customers who had those contracts are…back on the market either getting their power from the incumbent utility or looking for a fresh deal. We are writing to inform you, with deep regret, that the recent extreme weather, which sent the wholesale electricity market into unchartered territories, has fatally compromised our ability to continue to serve customers. We are extremely saddened to share this news with you. All Clean Currents’ customers will be returned to their utility service, effective immediately. You should see this change in service on your next bill, or the bill after that, dependent on your meter read cycle. If you so choose, you are able to switch to another third party electricity supplier, effective immediately. Clean Currents waives any advanced notice requirement or early termination fee provisions in our contracts. 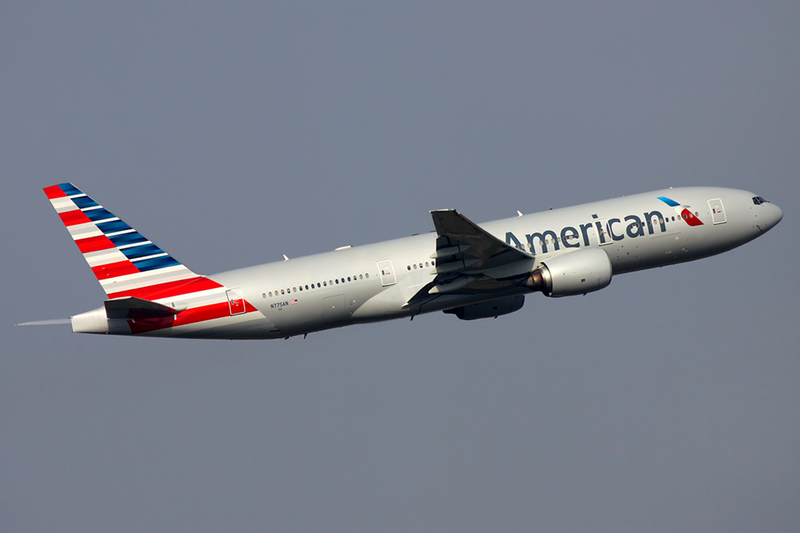 On its quarterly earnings call earlier this week, the new American Airlines confirmed speculation that it would end the company’s legacy policy of hedging jet fuel prices. The hedges that are in place will be allowed to runoff, but they will not be replaced. American’s merger with US Airways was completed in December, and the combined company is being led by US Airways’ management team. For a number of years now, since 2008, US Airways has shunned hedging. Now that policy is being extended to the merged firm. Experience is one factor. Going into 2008, US Airways hedged jet fuel prices just like other companies. But 2008 was a wild ride for all businesses in which fuel costs are a major line item, airlines especially. Oil prices spiked dramatically during the first half of the year, and then collapsed even more dramatically during the second half. While the company may have profited off of its hedges in the first two quarters, it reported whopping losses on its hedges in the last two–$488 million in the 3rd quarter and another $234 in the 4th quarter, each time approximately half the company’s total loss in the quarter. Of course, at the same time the airline was paying a smaller price to buy jet fuel, so the company’s net cash flow on fuel plus the hedge showed less volatility. That’s how a hedge is supposed to work. But hedge decisions are always second guessed whenever the financial leg of the package earns a loss. The second guessing at US Airways goes a little deeper than usual, and the management team’s rationale deserves a fair hearing. And our cost discipline has been equally impressive. First, since US Airways stopped hedging fuel we’ve had the lowest or second lowest cost of fuel in 10 of the last 14 quarters, a strong validation of our no hedging strategy. I think a non-fuel hedging program is the most effective and the most rational program because we have a natural hedge. This is a natural hedge — fuel prices versus demand. When fuel prices are going up, in most cases revenue is going to follow and vice-versa. Fuel prices are driven in many regards by the economy. That’s not the only driver of fuel prices, but it’s probably — over a longer time horizon, it is the principal driver of fuel prices as what’s happening with the economy, and so we have a strong natural hedge. And if we hedge jet fuel prices or hedge oil prices, you’re breaking this natural hedge, not to mention the expense of hedging but just the natural hedge that you have between jet fuel and revenues. So a sizable financial hedge is not necessary, and might even increase the airline’s risk. I have a hard time believing that the right hedge is zero. Ticket prices don’t move one-for-one with jet fuel prices, at least not immediately. Many tickets are sold in advance, whether individually or as a part of corporate and other packaged sales. And the quantity of sales will be affected by the price, too, so that the company is exposed on an aggregate basis even when its operating margin is not. Of course, that argument does not take into account the cost of hedging. In order to cover those costs, Kirby said, fuel prices would have to rise 30% year-over-year, something he obviously doesn’t think is likely. Since US Airways inaugurated its new policy of not hedging, oil prices have stayed in a relatively narrow band, so the policy has not yet been stress tested. Now that policy is being extended to the larger, combined American Airlines. It will be interesting to see whether it runs into any stormy price swings, and how it fares under stress. Riddle or Ridicule? Reprise or Rehash? One of my husband’s many incisive stories from his career as an educator reports on an incident in the teachers’ lounge at a high school after an exam. In comes one of the more senior teachers, griping about his students’ poor performances: “I’ve given the same exam now for 20 years, and they still get the same questions wrong.” My husband, of course, thinks the teacher’s complaint reflects more on the teacher’s weaknesses than on the students’. I was reminded of this story by University of Houston Finance Professor Craig Pirrong’s blog post complaining that although he has been making the same argument since 2008, the critics of speculation still don’t get it. Speculation, he claims to prove, cannot cause price levels to trend up. In his blog, Professor Pirrong’s favorite pose is ridicule, and this post is no exception. He proclaims his argument is just an application of basic finance theory, which the critics of speculation are too dim to appreciate. But, a number of well credentialed economists who are well versed in basic finance theory take exception to Pirrong’s argument. In particular, I’ve written elsewhere that speculation can cause the price of oil to trend up. We can have a reasoned argument about speculation and price levels, but it’s time to drop the ridicule. Like the pompous high school teacher who wielded his authority against his students, Professor Pirrong brandishes his knowledge of finance against the untrained complaints of the public about speculation and proudly announces himself the victor. It is true that many of the untrained critiques of speculation imagine a simple, overly mechanical relationship between the volume of speculation and the level of prices. But where is the glory in taking an untrained critique and finding a flaw? The volume of speculation matters. It may not be a regular direct cause of a price bubble or other problems in a commodity market. But it can be a symptom and it can be an indirect cause and it can also occasionally be a direct cause. Ignoring the volume of speculation is foolhardy. Professor Pirrong is extreme in the weight he gives to ridicule in his argumentation. There are plenty of other economists who share his underlying critique, while maintaining a more respectful demeanor in the conversation. The annual convention of economists is taking place right now, and the issue of commodity speculation is on the agenda in a couple of sessions, including one on Saturday afternoon sponsored by the International Association of Energy Economists and the American Economics Association. There will be plenty of space given to the critique that speculation has not been responsible for moving prices. But there will also be presentations by other credentialed economists whose talks will reflect the same stubborn ignorance of the basic finance for which Professor Pirrong chides less credentialed critics. I will be among them. I’m looking forward to a substantive discussion free of invective. 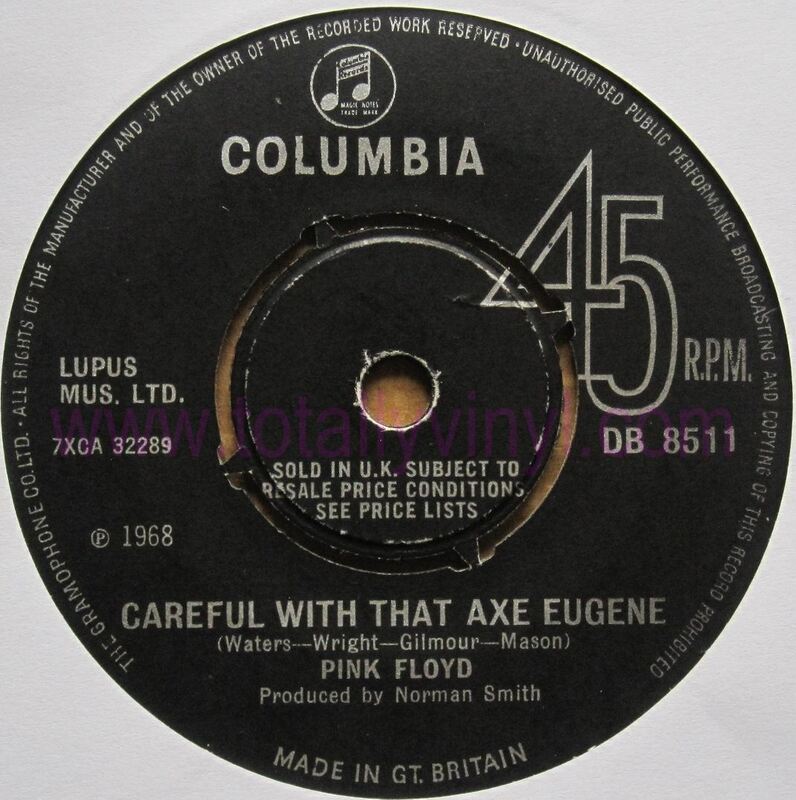 Be careful how you swing that hatchet! During last year’s debate about the Volcker Rule, Morgan Stanley commissioned a study by the consulting firm IHS that predicted dire consequences for the U.S. economy. I called the study a hatchet job. My main complaint was that the study made the obviously unreasonable assumption that the bank commodity trading operations would be closed down and not replaced. IHS even excluded the option of having banks sell the operations. Morgan Stanley is considering a sale or a joint venture for its commodities business… James Gorman, Morgan Stanley’s chief executive, last October said the bank was exploring “all form of structures” for its commodities business. Glenn Dubin, Paul Tudor Jones and a group of other commodity hedge fund investors last year bought the energy trading business from Louis Dreyfus Group and Highbridge Capital, the hedge fund owned by JPMorgan Chase. The parties later renamed the business Castleton Commodities International. And so, another industry funded hatchet job on the Dodd-Frank financial reform ages poorly. Izabella Kaminska at FT Alphaville clarifies what’s going on. In a recent paper, the economists Claude B. Erb and Campbell R. Harvey present strong evidence that the gold market was severely overbought. The increase in gold prices did not represent a change in the trend of inflation. 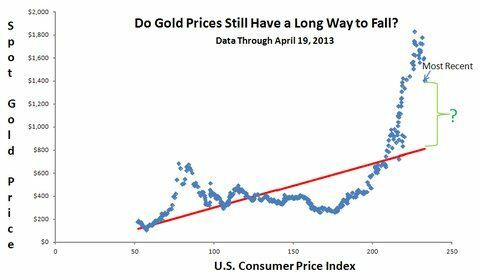 As the chart indicates, even with the sell-off, the price of gold is still high and has a long ways to fall to get back to the “golden constant” that gold-standard advocates cite as proof that the dollar should be pegged to gold. Dynamic Hedging or Futile Speculation? Chesapeake still thinks it can time the market. 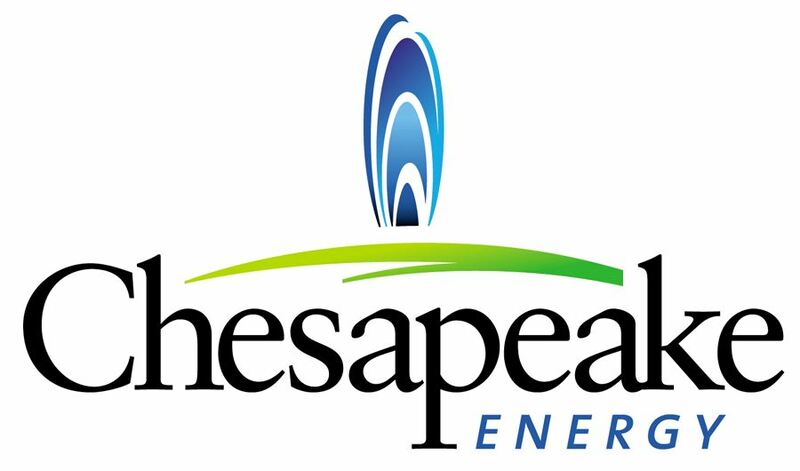 The company has had problems in the past from its foolish attempts to time natural gas prices. Last time prices were falling and the company took off its hedges. This time prices are rising and its putting on hedges. But the mindset is the same. Behind this dynamic hedging strategy is a common misunderstanding about mean reversion in natural gas prices. The same misunderstanding applies to other commodities as well.